Nestled within the prestigious city of Laguna Niguel, lies the affluent community of Bear Brand Ranch. While this community may be a hidden gem of Orange County, it’s no secret which Bear Brand Ranch movers are the most trusted in the industry—Coast Valley Moving & Storage! Since 1972, our professional movers in Bear Brand Ranch have helped thousands of residents execute successful household moves in Laguna Niguel at an affordable, honest price. Whether you planning a big household move across the country or simply transitioning to a different home within Laguna Niguel’s Bear Brand Ranch community, we guarantee that we’ll exceed your expectations for quality and service. 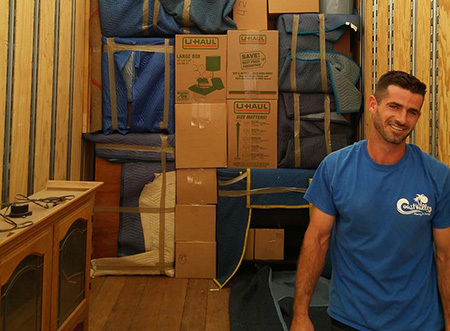 Planning a residential move is a major undertaking, and Coast Valley Moving & Storage, Inc. will be with you every step of the way. From our free, in-home estimates to our unparalleled customer service, we stand out from the crowd of other Bear Brand Ranch moving companies in Laguna Niguel. We even offer high-quality household storage options to keep your belongings secure for as long as needed throughout the moving process! Professionalism and customer-service are at the heart of our business philosophy, and we’re proud to be long-term interstate agent for Wheaton Worldwide Moving. As an award-winning agent of this prestigious van line, our Bear Brand Ranch movers are part of a global network of moving and storage professionals that are capable of tackling any size moving project—wherever in the world you need to go! Interstate Movers: As experienced Bear Brand Ranch movers in Laguna Niguel, you can trust us to make your interstate move a seamless process. Local Movers: Moving to another part of Bear Brand Ranch, Laguna Niguel or Orange County is a breeze when you’re working with our highly-qualified movers in Bear Brand Ranch. Household Storage: Make room in your home or keep your belongings safe during relocation with our flexible short and long-term storage solutions. Are you ready to learn more about what sets our Bear Brand Ranch movers apart from the crowd? Scheduling your free, no-obligation estimate is easy! Just give us a call today or fill out our online form to connect with one of our moving professionals, and we’ll get you set up for a consultation that fits into your busy schedule.